While whizing through the grocery store with my son this afternoon, I made a pit stop by the bakery department to look at breads. There we got the opportunity to sample fresh-baked cookies, which was perfect timing for an afternoon snack. I’m not sure why this is the case in many grocery stores, but the wine aisle often stands right next to the bakery department. Now that I think of it, the dairy department is usually not far away either. I’m guessing it makes it easier for the “bread, cheese and wine” lovers to quickly gather their yummy treats and go home to enjoy. Holy cow! 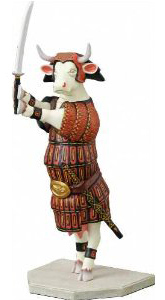 It’s not just a bull, but a dancing bull selling wine! These cow sightings never stop surprising me. I had no idea there was such wine label as Dancing Bull, so it didn’t take me two seconds to wonder what other animals are selling wine. After concluding that birds make up the majority of wine labels with animals, I discovered quite a few other animals, some of them more surprising than others. 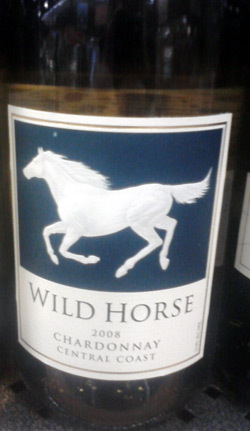 Ah, wild horses… Does the Chardonnay exhibit hints of horse manure? Or maybe just scents of green pastures from the great open spaces of Montana? Now, this one I really don’t get. I’m just guessing a bunch of drunk guys got together to brainstorm about their new winery. Hey, what should we call our wine business? How about fish eye? Have you ever seen a fish drunk from wine? My only thought is, does the wine have a fishy flavor??? Yes, I saved the best for last. Forget about the Dancing Bull, THIS is the stuff! I want that wine sooooo bad, so I can feel like those rich people, those fat cats who pay too much for their wine. 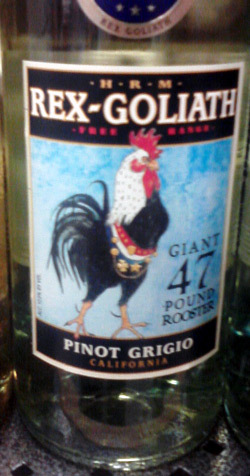 Oh, I now see it’s Pinot Grigio, one of my favorite white wines. Argh, I really should have bought this one, it would have made me feel… priceless. Previous Post Have you ever met a cow pig? 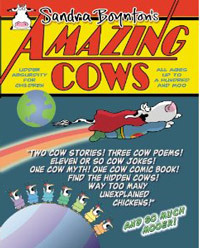 Next Post Have you ever seen cows on wheels celebrating Earth Day? If you drink enough of the wine, I am sure you will see dancing bulls…..and cats in clothes…talking fish…etc. Haha, I can only agree with you!